A heatmap is the most sweet way of visualizing the values of a matrix. The numbers are converted in a colored and intuitive graphic. Let’s take the following matrix in CSV format, with hypothetical correlation values varying from 0 to 1. 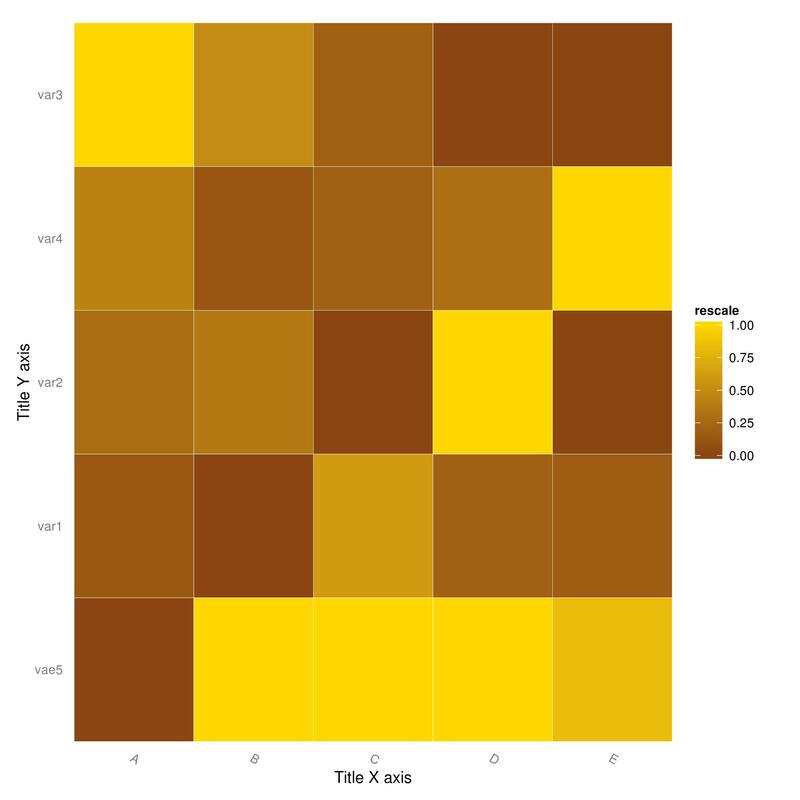 …the color scale from brown to yellow varies in accordance to the matrix correlation values. This entry was posted in Local Tools. Bookmark the permalink.